Our advertising is effective in penetrating the outdoor recreation market in South Australia, particularly amongst bushwalkers. The Trailwalker is the magazine of the Friends of the Heysen Trail. 1,200 copies are printed each quarter and distributed to all club members (around 800), landholders, and to most Adelaide outdoor retail outlets (distributed as free copies). The magazine is also emailed and added to our website, and promoted on social media. Copies are also available in regional information offices, libraries, and some caravan parks and other outlets along the Heysen Trail. 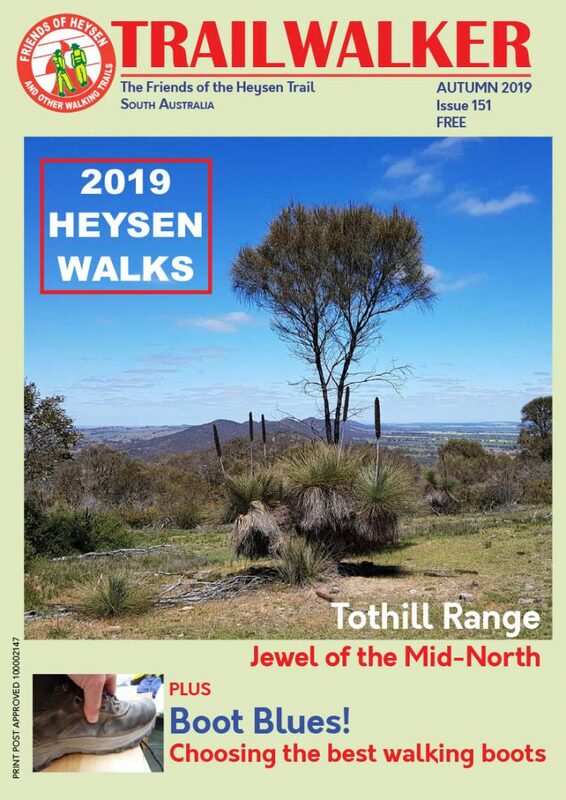 Distributed as a free publication, the Trailwalker is effective in penetrating the outdoor recreation market in South Australia, particularly amongst bushwalkers.